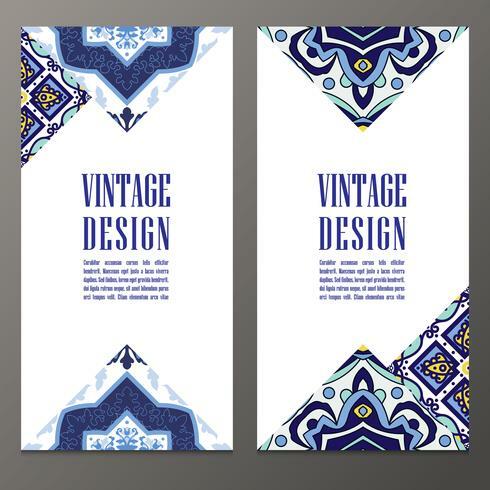 Vintage Banner for business and invitation card. Portuguese tiles azulejo. Template with decorative tiles ornamental element. For postcard, brochure, advertising, bookmark, leaflet. Vector.